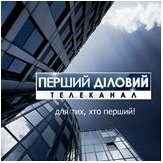 News TV Channel / "First Business" is an independent Ukrainian television channel that specializes in business news, high-quality analytics of significant events for Ukrainian and foreign business. It was created in 2006. Broadcasting on the channel is conducted in Ukrainian and Russian. Business news on the "First Business" is only proven information, it's efficiency and objectivity. Thanks to the network of its own correspondents in many cities of the country and the world, the television channel quickly collects, analyzes and transmits the most important information.